and successful in this scene for 3 decades! Red Carpet 500 is a event filled with energetic, funky sounds and beautiful party people. Hosted by the charismatic DJ & acclaimed hitproducer Wolffman, all artists present will bring their best dance beats to make sure the crowd can get their sexiest classy moves on. 15 populair tracks you didn’t know Wolffman produced. Flowliner is a DJ/MC concept founded by Wolffman and the well-known rapper/mc Shockwave. The concept is all about the magical energy which tropical music can bring to the dance floor. Wolffman has been active in the music industry since 1990. From his experience as a music producer, label holder, manager, booker, publisher, event organizer and DJ, he regularly speaks about this at companies, programs, universities and during events such as Amsterdam Dance Event, Buma Music in Motion, Eurosonic / Noorderslag and Ibiza Music Summit. Wolffman is known for his irresistibly infectious tunes. 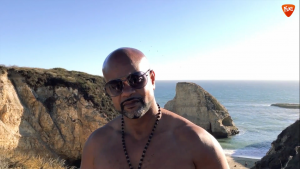 On his CV you will find hit records he made with artists such as Snoop Dogg, Timati, Romanthony, Daft Punk, Conro, Rockwellers, Rod Temperton, Kevin Lyttle, Fat Man Scoop, Pitbull, Ross & Iba, DeAnte, Freddy Moreira, Gizmo, Dark Raver etc. 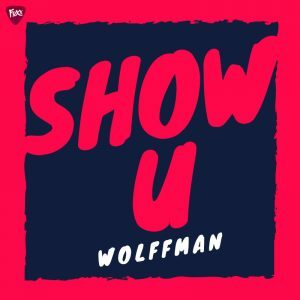 The versatile producer and DJ Wolffman surprises us this time with a radio track where he combines soul and pop vocals with catchy synth sounds and reggeaton beats. The track immediately went in rotation at various leading radio stations in Europe, South America & Canada, is featured at several popular Spotify playlists and is currently at No.2 in the iTunes popchart. Recently the track is also released in Scandinavia thru Quattro and Warner Records. Although the clip only shows a beautiful woman in a swimsuit and bikini, according to Youtube the latest clip of Wolffman ‘Lovely Day’ would be too sexually offensive to the young viewers. Thats why the clip was banned and lost all streams but is now finally online again on a private link and not visible under the age of 18. Check it out for your self and have a Lovely Day. 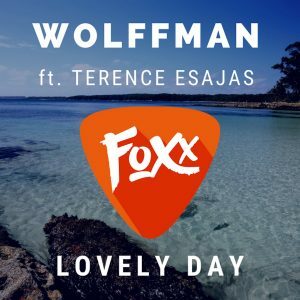 Wolffman released this re-make of Bill Withers’ 70s hit ‘Lovely Day‘ with the great vocals of Terence Esajas. The same copyright was used in the Plus Supermarket TV commercial. Gold for 'Mood For Lovin’. 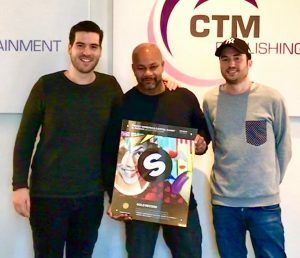 Out of hands from CTM Publishing & Spinnin’ Records Wolffman received a golden record for Mood For Lovin’s as a producer, composor and licenser. Mood For Lovin’ was released by Spinnin Records for the artists Freddy Moreira, Capital Candy & Patexx. Wolffman produced both the English and Spanish versions. In 2016, 2017 and 2018 Wolffman conquered the No.1 position in the DJ chart of ReverbNation. Wolffman has been active in the music industry since 1990. From his experience as a music producer, label holder, manager, booker, publisher, event organizer and DJ, he regularly speaks about this at companies, programs, universities and during events such as Amsterdam Dance Event, Buma Music in Motion, Eurosonic / Noorderslag and Ibiza Music Summit. The prestigious Dutch Top 40 asked Wolffman for his 5 favorite tracks. 15 tracks you didn’t know Wolffman produced. Copyright © 2019 Wolffman | All rights reserved.